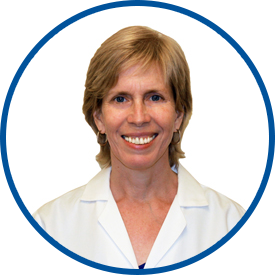 Dr. Nelligan is a board-certified general internist with 15 years of clinical experience in private practice as well as university practice settings. Following a pre-med program at Columbia University, she was awarded her medical degree from Mount Sinai School of Medicine, where she was inducted into Alpha Omega Alpha Honor Society. She also served as president, student chapter of the American Medical Women’s Association. She went on to complete her internal medicine residency at Montefiore Medical Center. She is very comfortable working with a diabetic and hypertensive population as part of her role as primary care physician. Dr. Nelligan was with Montefiore Medical Group prior to joining WESTMED Medical Group in July 2013. She is affiliated with White Plains Hospital. I really like Dr. Nelligan. She is an excellent listener! *Dr. Nelligan is a superior doctor. Very smart, explains thoroughly & wonderful "bedside manner." Love Dr. Nelligan!!! She spends time listening and making suggestions. She is never cranky with me and she does not criticize me for not losing weight. She acknowledges that it is hard to lose weight but keeps encouraging me and giving me ideas to lose weight so I can become healthier. *Dr. Nelligan is the only reason I stay with Westmed. I've even moved to Ulster County upstate & I still come down to see her for my medical needs. Smart, calm, level-headed, great listener, organized, gets back to me.... I love her. i've been seeing Dr. Nelligan for many years and always find her to be very responsive to my needs and addresses my concerns. very impressed with Dr. Nelligan. My family and I have already bragged and boasted about the staff and facility at WESTMED. Dr Nelligan is awesome. So is her assistant. Dr Nelligan is consistently thorough in her evaluation, caring, professional, and highly competent. I appreciated that Dr. Nelligan warned me that there might be an adverse reaction to the shot that I wanted to receive. Dr Nelligan is a great doctor. I believe her . I listen to her carefully and am going to run my 36th marathon. *Dr. Nelligan is an human and professional MD. The best in WestMed and I had have others from there. Dr. Nelligan is kind and patient, never criticizing me for being overweight. She brainstorms with me to help me find a solution for this problem and kindly encourages me to lose some weight. She is wonderful and I highly respect and trust her.